Need taxicab, we have OlaCabs. Need Grocery, no problem at all; just order on Big Basket. Pparke, smart parking app from Pristech Analytics is helping commuters to spot parking, get last mile connectivity, navigate to spot, or suggests nearby available spot so we ultimately don’t waste time, gas… and patience. Goal of Pparke team is to not only improve mobility, but help cities to start down the path of becoming a smarter city. “Nevertheless, Parking can be a high revenue source for a city if we act Smart.” Says cofounder of Pparke. 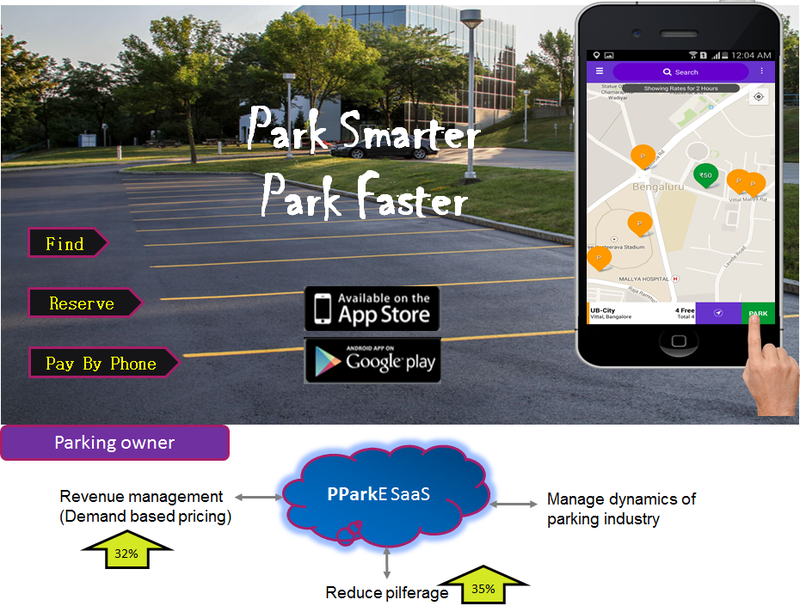 Pparke SaaS provides key insights on the parking market dynamics & trends, competitive landscape and end-user usage analysis across various sites. The dashboard speaks about the revenue management, suggests multiple pricing options and many more using an interesting Analytical Algorithm. It explores business potential of parking management solutions across varied industry verticals such as academia, government and municipalities, transportation, recreation, healthcare, hospitality, retail, corporate and commercial parks, and Banking, Financial Services, and Insurance and others. According to industry data, usage of smart parking management can prevent up to 30% of traffic congestion, and save up to 25% of the parking revenue loss due to employee pilferage and vehicle driver’s malpractices. Pparke is all about innovation and transform cities to become easily accessible, serviceable, sustainable and scale-able. Pparke, smart parking solutions will transform journey planning from fragmented systems, to an end-to-end solution that will redefine the way people live and work, revolutionize mobility, reduce environmental impact and improve quality of life.